What Canada and other NATO countries have experienced in Afghanistan has shaken previously established approaches to fragile states, including departmental and international coordination, peace building, anti-terrorism, civil-military relations, good governance, and economic development. But has it shaken assumptions and approaches enough? Not yet. The concept of “3D” – diplomacy, defence, and development closely integrated within a coordinated strategy – is still a work in progress in Afghanistan. And to work, 3D itself needs to be rearticulated and expanded: two Ottawa synonyms, the “whole-of-government” approach or 1C (one coherent Canadian strategy), certainly capture what is needed more accurately, but they still do not go far enough. Effective Canadian internationalism requires a “whole-of-Canada” strategy, one actively led and coordinated by the federal government that also mobilizes non-3D departments and agencies, the provinces, municipalities, NGOs, the private sector, Diaspora and immigrant communities, educational institutions, etc., as applicable. When dealing with the problem of fragile or developing states, cultivating a “whole-of-Canada” approach is the only way, a lesson we should have learned in Africa long ago but have not. The ground-breaking February 2007 Senate Report on Africa pointed to this conclusion, but the report was unfortunately sidelined. Canada’s wide-ranging expertise and capabilities relevant for state building are simply not found within DFAIT, DND, and CIDA. Each of these departments has a role, but they are in fact enablers: 3D is the sharp end, so to speak, of Canadian engagement abroad, but these three departments do not themselves possess the expertise in governance, economic management, social services, entrepreneurship, and infrastructure reconstruction that Canada can offer. 3D is not a strategy; it is a mechanism. Active leadership, driving a whole-of-Canada strategy, is required to achieve Canadian and international success in Afghanistan, Africa, or elsewhere. For those of us that have watched CIDA closely in Africa over the years, the criticism it is facing given its performance in Afghanistan is hardly surprising. The frustration level with CIDA outside the agency, within parts of the NGO, private sector, and educational communities across Canada (and often voiced by Canadian development partners in Africa), is now being shared by both DND and DFAIT in Afghanistan. The recently released Manley report on Canada’s future in Afghanistan confirms what that Senate Committee report found a year ago when it took a hard, long look at Canada’s policy towards Africa: CIDA and Canadian development assistance need structural rethinking and practical retooling within a geographically coordinated and well-led strategy. In Africa, CIDA has pushed furthest and fastest to meet OECD aid effectiveness guidelines. This has led to near complete untying of rapidly increasing Canadian aid flows to Africa over the last few years, increased pooling of donor funds (meaning either within multilateral institutions or program-based approaches managed by recipient countries), and increased country and sector focus. The implications for Canada have been profound: a near complete outsourcing or de-Canadianization of aid delivery in Africa leading to an estranged Canadian development constituency; a near complete detachment of our aid program from wider foreign policy considerations; a much lower overall Canadian profile in Africa; less capability within CIDA for direct project and program delivery and monitoring; fewer CIDA officials with practical experience in Africa or based there; no CIDA appetite for infrastructure projects; and less ability for CIDA to react to changing circumstances on the ground. These trends certainly undercut CIDA’s ability to ramp up activity in Afghanistan after 2001, despite it quickly becoming the highest priority by budget within the agency. And the jury remains out whether our aid to Africa is, in fact, more effective as delivered today. There are currently three significant initiatives to make CIDA more effective. The first widely supported although hardly new proposal is for Canada to finally reach its United Nations commitment to spend 0.7% of GDP on official development assistance (ODA). But simply doubling ODA to reach 0.7% and flowing these additional resources through existing CIDA or international development pipelines is not a solution. Second, Bill C-293, a private members bill that passed in the House last year and is currently in the Senate, is designed to refocus CIDA strictly on “poverty reduction.” Our aid, critics argue, is pulled in too many directions in too many places and thus is not focused enough on helping the world’s poor. Once passed, the act would compel the CIDA minister to justify that every ODA expenditure: a) contributes to poverty reduction; b) takes into account the perspectives of the poor; and c) is consistent with international human rights standards. To determine whether ODA meets these criteria, the minister would consult with recipient governments, international agencies, and Canadian NGOs. Unfortunately, this bill does not address the deep rooted problems plaguing Canada’s development assistance architecture (again, noted forcefully in the Manley report); it would increase bureaucratic and consultation hurdles to get funds out the door, and it would constrain the ability of CIDA to tackle issues specific to fragile states like Afghanistan, Sudan, Sierra Leone, or Cote d’Ivoire. A new funding envelope and, in fact, new capabilities, may have to be created within DFAIT or DND to address critical areas that CIDA would be legislated from undertaking under Bill C-293. Perhaps this is a desirable option, but this money would have to come from somewhere. Third, CIDA is currently undergoing a major internal reorganization as it re-evaluates its country and sector priorities. This was certainly stimulated by both CIDA’s sluggishness on the Afghanistan file as well as the new government’s foreign policy reorientation: the expansion of CIDA’s Afghanistan Task Force in March 2007, which now has its own vice-president – the first time a single country has been represented by a vice-president in CIDA – is the most obvious result of this ongoing process. Canada will also likely focus its aid resources in the same small group of better functioning developing economies like Ghana, Mali, Mozambique, Tanzania, and Senegal that already attract considerable ODA and private investment. Instead of focusing on where the need is greatest – including fragile countries that are at a critical juncture like Sierra Leone, Cote d’Ivoire, DR Congo, Kenya after the recent elections, and even giant Nigeria – CIDA will direct money into less risky countries because the ability to argue aid effectiveness is greater, even if it cannot prove directly that Canadian assistance made a marked difference to poverty reduction or was spent efficiently. By simply focusing on the 0.7% target, poverty reduction, and/or a narrower list of aid recipients, Canada is not going to be more effective at reducing poverty, increasing international prosperity, and cultivating world order. 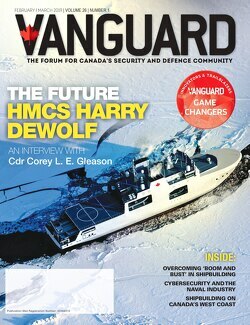 And since Canada has greatly increased its expeditionary capabilities and its military reputation in Kandahar, it will, sooner rather than later, be asked (or compelled) to contribute to another difficult mission in a fragile state somewhere, and that somewhere will likely be Africa. § Leadership and strategy: As the Manley report recommended, Afghanistan needs high level, active leadership at cabinet level on a continual basis to ensure Canada’s strategy is efficiently implemented in a coordinated fashion as well as properly articulated to the Canadian public. This echoes what the Senate report on Africa argued for last year: the establishment of an “Africa Office” to establish a comprehensive Canadian strategy for Africa and to oversee and coordinate departmental resources. Others are way ahead: the US has set up its multi-agency Africa Command, while China and the EU have implemented their own Africa strategies. § Regional expertise and intelligence: Few in the Canadian government or military had much expertise with Afghanistan in 2001, or Somalia in 1992 or Rwanda in 1993. That lack of expert knowledge certainly affected decision-making, understanding, planning, and effectiveness in all three interventions. Canada is, of course, now developing considerable expertise on Afghanistan, but in a fast changing global environment, it makes sense to be building up geographical expertise within a coordinated strategic framework rather than waiting until a crisis erupts to begin the knowledge-building process. In fact, a comprehensive Africa strategy would generate expertise that could result in policies and interventions that prevent crises. § Critical juncture countries – prevention before crisis: Afghanistan is certainly at a critical juncture. But if Canada is serious about playing a major role to maintain world order, it should be looking around the world for where populations and regional order are threatened by fragile states, simmering conflict, or environmental degradation, and where local governments are neither kleptocratic nor authoritarian. Sierra Leone is a case in point. This country has never been a Canadian development partner, but as it emerged from conflict Canada invested limited resources, namely in support of the Kimberly Process to control conflict diamonds, the Special Court for Sierra Leone, and by providing a very small military contingent on an ongoing basis to work with British forces to train the new Sierra Leone army. But none of these interventions are currently helping the struggling new government with critically needed social services, infrastructure, or capacity building. Canada’s military contingent, living and working around Sierra Leone, has no direct line to CIDA or DFAIT to even discuss resource needs. There is no 3D in Sierra Leone. But Canada could make a significant difference given Sierra Leone’s size. It could also cultivate regional stability, entrenching a nascent democracy in what has been a troubled region. § The development continuum: Debates over what is development and what is reconstruction are, simply, moot. CIDA, or in its place some new arm of DFAIT or DND, has to possess a more flexible and responsive tool-kit for assisting fragile states. From frontline, quick-impact, employment creation and infrastructure projects, to longer-term governance institution-building, education, judicial reform, water and utilities services, property rights, etc., to offering high-level Strategic Advisory Teams (like the one in Kabul) to host governments, Canada has to have flexible, responsive tools to respond to local contingencies and needs. Policy cannot be hamstrung by pre-determined CIDA priorities that limit Canadian involvement only to certain sectors. But procurement and staffing practices need considerable reform to allow this to happen, especially in conflict zones. With high level, focused leadership driving a whole-of-Canada strategy, both our current mission in Afghanistan and our future involvement in Africa could be placed on a much firmer footing. Leadership, vision, and strategy should drive departmental priorities and capabilities, not the other way around. Inter-departmental coordination is imperative, but so is mobilizing non-federal government resources and expertise. Canada will always thrive in a multilateral environment, but it must also do a better job of developing its ability to lead, mobilize, and deploy its own resources to meet its national security, economic prosperity, and world order interests, however widely defined. Chris WJ Roberts is vice president, Western Canada, for the Canadian Council on Africa (CCAfrica), and is currently studying at the Centre for Military and Strategic Studies (CMSS) at the University of Calgary. The views expressed here are solely those of Mr. Roberts and do not represent the official or unofficial positions of CCAfrica or CMSS.